Sleep is one of the key ways that our body replenishes and repairs itself after a long day, so it’s easy to see how the wrong type of midnight snack can keep us awake for longer, and even sabotage the quality of our sleep. What we eat in the hours before bedtime can deprive us of the all-important sleep stages we need to function. This is due to how our body processes and breaks down food, the chemicals our brain releases after eating, and the spikes food causes in our energy and blood sugar levels. Simba has identified five foods and drinks you should avoid eating before you hit the hay, to help you slumber with ease. 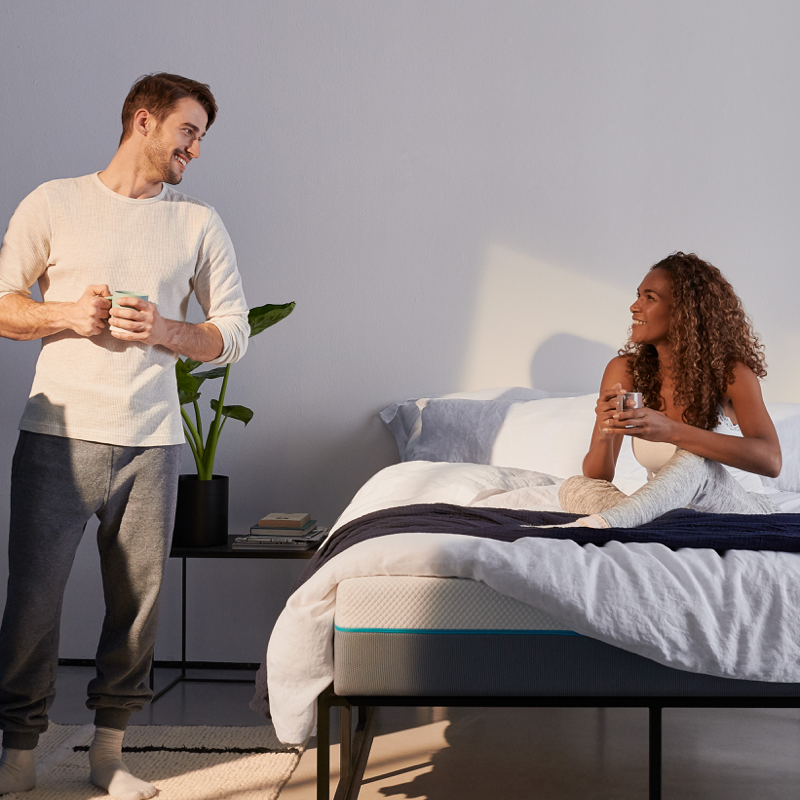 Simba is dedicated to ensuring that you have the best possible night’s sleep every night, thanks to their innovative Simba Hybrid® Mattress designs. For more expert advice on sleep hygiene and the impact of diet on sleep, visit the Simba blog for more tips and insights. Chocolate is undoubtedly the ultimate after-dinner treat, however according to research, not only does chocolate contain sugar, which boosts our energy levels, but it also contains caffeine. Caffeine is found naturally in the cacao seeds used to produce chocolate, and according to the National Sleep Foundation, it can have a stimulating effect on the body up to 15 minutes after it’s consumed. However, caffeine can take up to six hours to be eliminated from the body, which makes caffeinated drinks and snacks a poor choice for an evening bite. Experts say that chocolate before bed can be just as bad as having a cup of coffee, with caffeine levels found in dark chocolate being particularly high. As alertness is one of the key side effects of caffeine, be sure to rethink a chocolate treat before bed to help get some restful shuteye. Junk food and fatty snacks have long been cited as the enemies of a sound nights’ sleep. Whether it’s bacon, burgers, sausage, pepperoni, ham or salami, overly processed meats are a no-go before sleeping, due to their high levels of fat, which can irritate the oesophagus and cause acid reflux. Cured meats also contain tyramine, the chemical found in cheese, which causes our brain to go into ‘fight or flight’ mode, leaving us feeling agitated and on-edge. This is a huge problem if you already have trouble sleeping. Try to tuck into these foods at lunchtime instead, to help keep the symptoms of insomnia at bay. It’s a common misconception that the traditional alcoholic ‘nightcap’ is good for sending you into a deep sleep. In fact, while alcohol is a sedative, a report published by the National Institute of Alcohol Abuse and Alcoholism stated that alcohol consumption was shown to disturb the all-important latter half of our sleep cycle. This is the period where deep sleep and the REM cycle kicks-in. Waking before the full sleep cycle is complete can leave us feeling tired and lethargic the next day, but also makes it difficult to get back to sleep. While it can be tempting to have a glass of wine close to bedtime, or a refreshing beer to unwind, the same report claims that alcohol consumed even 6 hours before bed can end up keeping you awake. Instead, a glass of warm milk an hour before bed might just be the alcohol-free nightcap you need. Combine this with a Simba Hybrid® Mattress and you'll be getting far higher quality sleep at night. Vegetables may seem like the healthiest option you could choose for a late night snack, but in fact, you could be hindering your quality of sleep by crunching on carrot sticks or salad on an evening. Our bodies need to use more energy to break down what are referred to as ‘cruciferous’ vegetables, which means that our digestive systems will start working overtime to process them; of course, this can impact the quality of sleep. You may also find that raw vegetables are more likely to cause digestive issues such as bloating and gas, which can be incredibly uncomfortable and even painful when you’re trying to settle down for the night. Avoid vegetables at least three hours before you snooze and you’ll enter dreamland in no time. Check out Simbasleep.com for more ideas on how you can improve your sleep. body temperature. Typically, the ideal room temperature for a good nights’ sleep is between 18-21 ̊C so if our body temperature increases, we may find it more difficult to rest. Like vegetables, spicy food also gears up your digestive system,keeping you awake for longer. If you’re prone to insomnia, it may be best to save your favourite hot and spicy dishes for during the day!